The Classic Magnum is the grand-daddy of Panettone, weighing in at a mammoth 22 lbs! Great for parties and holiday celebrations. 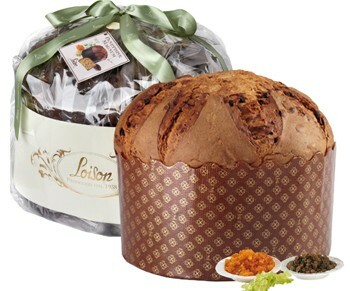 Loison Panettone is considered to be among the world's best and most distinguished. Their highest quality products start with an obsessive care and superior ingredients that are Italian origin certified and includefresh eggs from safe farms, mountain butter and milk, freshly prepared Italian sugar that are then combined with aromatic ingredients, like fragrant Italian wines to the candied oranges of Sicily and the citron of Diamante in Calabria, to the more exotic ones like the soft Turkish sultana raisins and the finest quality South American cocoa, that combine to create a genuine and exclusive Italian product.